Ah, the BOB. The prepper standby and source of constant tinkering, consternation and much discussion. There are a 1,001 ways to choose, fill and pack a BOB, but one method in particular I have been experimenting with over the past year since an associate introduced me to it has been a real game changer for me. 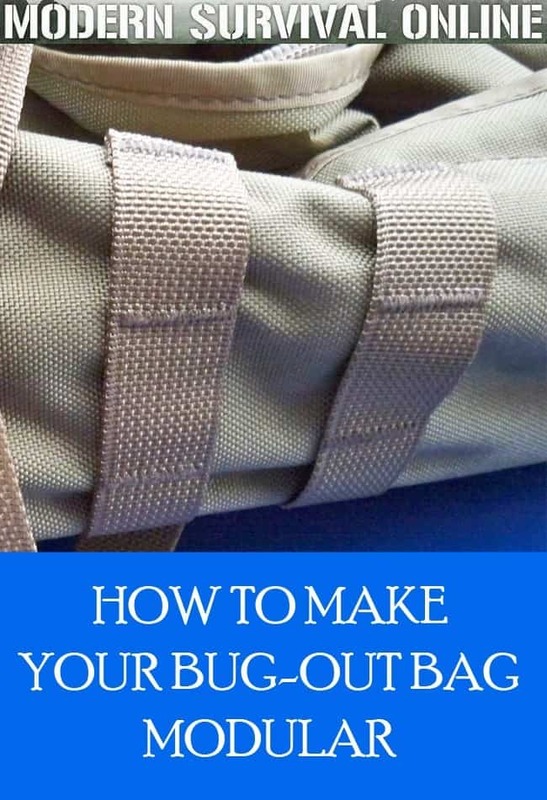 This method, which I have since heard referred to as the “modular BOB” is not new, but is often overlooked by preppers in favor of utilizing a backpack’s built-in compartments or simply packing all of their loose equipment in to the main cell just so. The modular BOB concept offers a few distinct advantages over traditional packing methodology and a great deal of flexibility to some users. In this article, we’ll explore the concept and furnish some DIY tips for those who want to put the method to a trial. If you are like me, you’ll probably see the advantage. What is a Modular BOB? A modular BOB is simply one that has its contents broadly grouped into “subloads”, or modules that are self contained in their own containers or packaging. Keeping your principal equipment groups packed together in discreet bundles makes adding and removing needed equipment much tidier than rummaging through a bunch of loose items, no matter how smartly you pack it. In essence, your BOB is a big container for a bunch of smaller ones, each containing a group of supplies like medical gear, electronic support, ammo, fire-starting, etc. At first blush, this may seem like only a good way to add smaller bags to your big bag, but in practice you will be more organized, more flexible and able to adjust your loadout in a hurry so long as you keep your modules packed and ready. A modular BOB can be loaded or unloaded in a hurry without scattering gear far and wide and, if you are ok with the practice, kept unloaded or partially loaded until such time as you need it, only then being loaded rapidly and easily with the modules that will best support you and let you adapt to the developing crisis. While anathema to some preppers, the nature of a modular BOB (modu-BOB?) allows you to take needed equipment from it to cross-load into a smaller pack or even standalone for an outing and return it in good order. This flexible design also lets you remove and hand off needed equipment or supplies to someone in your group without unduly rearranging your pack, and if they have nothing else they have a container to hold the gear in. This way they do not have to rely on stuffing it in their pockets. Depending on how you choose to set up your modular pack, you may not even need to remove or open it to detach a needed module of gear. Like anything else, there are flaws and disadvantages to a modular BOB as a system. First, they will not be as space-efficient as simply packing the items into a bag’s main compartment or smaller pouches as the containers holding each module’s contents will add varying degrees of bulk. Adding “useless” weight is another flaw, as you should justify every single ounce you add to your BOB. Aside from holding a few things, you usually will not find much use for your smaller subload pouches. While the weight and bulk they tally is minimal overall (unless you are choosing heavyweight containers) they do add up. Lastly, there will be situations where you may just need to grab that one particular item and would not need to haul out another zippered/velcro’d/snapped bag to reach it and in these times you may rue the day you went with the modular BOB concept. That one is not such a big deal though and is mostly preventable. I’ll give you a few tips to keep that from becoming a big deal. Lastly, cost can be a small factor: buying or fabricating your subload bags or containers will cost money, adding to the already significant cost of a fully equipped BOB. Nonetheless, I have found the concept viable and suitable to my goals, preparations and lifestyle, enough that I have made it my go-to BOB method and since it has trickled out to other parts of my life, specifically how I pack my luggage, go-bag and range bag, and keep many of the things I load into each packed in a subload. If I really wanted to, I could grab any of them and attach or fit them to my already loaded BOB and be off in a flash. In the next section we’ll get into the finer points of splitting your supplies and equipment up into subloads and packing your new modular BOB. Subloads or Modules: What Goes With What? In the next section, I’ll be detailing what equipment should be packed with into each subload, and then we’ll follow that with info on how to put the whole thing together into your BOB for maximum efficiency and ease of access. Note that this section is not a discussion on why certain items are included. The basics of BOB loadouts have been covered in extreme and exacting detail here and elsewhere. If you are just making your way into the prepping scene, need a refresher or more info on that topic, you can find an excellent introductory article here. 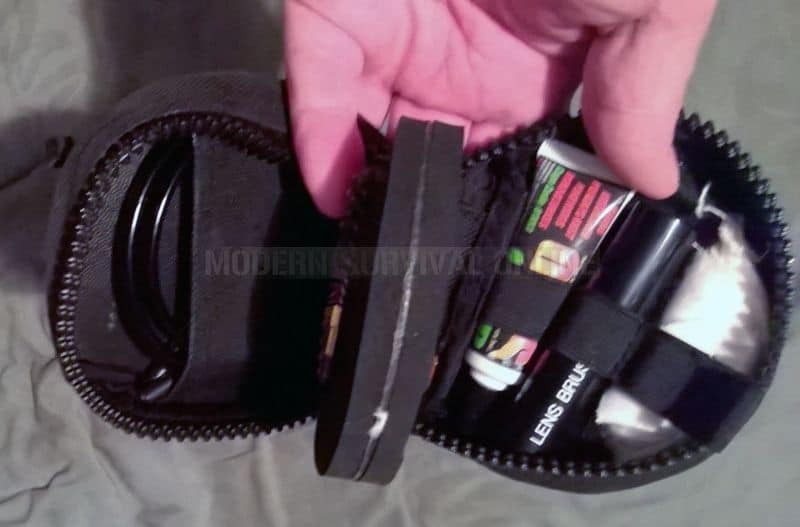 There is one major exception to the modular BOB concept that I believe is obvious, but I want to clarify here: your essential life-support gear and commonly used tools should remain first-line, on your person on your belt or in your pockets. So your pistol, folding knife, multi-tool, tiny survival kit, flashlight, lighter, basic trauma kit, etc. should remain in their usual positions on your body. Any additional emergency ammo should likewise be positioned for immediate access. I have added my commentary and reasoning for each subload below. 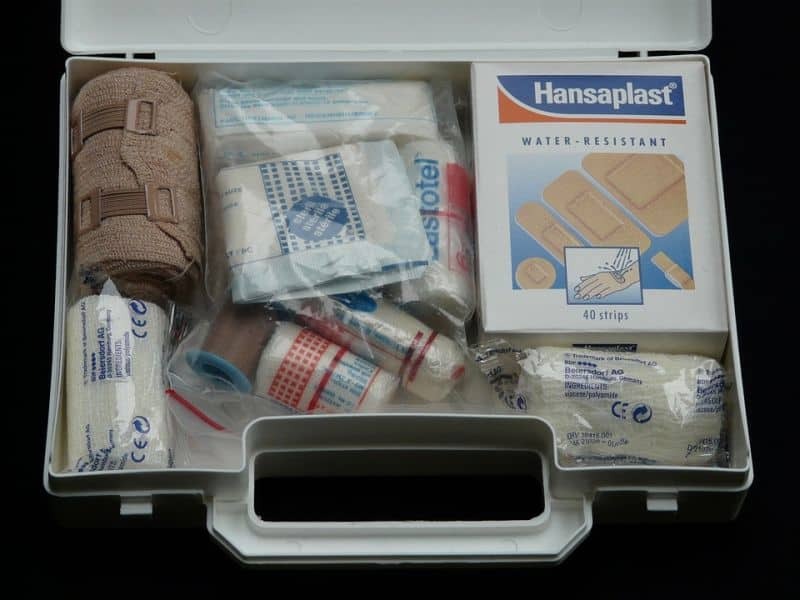 This module will contain your boo-boo kit as well as additional major first-aid supplies and trauma gear. So gauze, compression bandages, band-aids, med tape, antiseptic or iodine solution, tourniquets, medications of all kinds, blister relief, burn cream and mole skin for starters. This is also a good place to keep your reserve supply of any necessary medications you take regularly (your main supply should be kept on your for safety in case you lose or ditch your BOB. This is a good candidate for mounting externally in a quick-detach configuration or packed in last so it is the first out upon opening the pack. More so than many of the other modules, clear, clean organization is crucial here: when you need serious medical intervention, you don’t need to be rummaging in this small bag for what you need. Set yourself up for success and pack your essential items for speedy deployment. The less vital “snivel” items can be packed wherever as speed is usually not a concern when deploying them. A bag or case specially designed for medical gear is a smart idea here. All the charger cables, adapters, backup batteries, antennas, docks and solar arrays you need to feed the all-important GPS, radio and smartphone belong here. Take care to bundle the cables neatly and use bands, straps or clamps to hold them that way. Otherwise you can look forward to the crazy crow’s nest of tangled cables of all types when you unzip it. None of the items in this subload are required for immediate life-support or problem solving, and so you have more options for packing and stowing. You will typically not need to access this module at lightning speed (no matter how bad you want to keep streaming your podcast) so you can use most any kind of container so long as it has little pouches or tie downs for your cable bundles. When it is time to get your wilderness chef on. Pack your camp stove, fuel, cookset, mug, bowl, cutlery, and anything else you need to cook up a meal in this module (except the food itself). This will typically be one of the heavier subloads in the bag, so take care that the container is sturdy and you pack it near the middle bottom of the bag. For a modular BOB, I am a big fan of stocking up on light, compact foodstuffs for calorie sustainment. I’ll leave out MREs entirely unless they are broken down and I am picking and choosing components. I like freeze-dried pouches, granola and energy bars, energy gels, jerky and other foodstuffs that stack well and hold up against rough handling. Any food item with packaging that is rigid or large and tough to cram into a subload container gets cut. I want every cubic centimeter of this one filled with calories. In this module I will pack an assortment of things that will l keep my gun making noise when I want it to. Inside I will include spare ammunition, a very compact cleaning kit and oil bottle, a few essential spare parts and springs, batteries for optics and nothing more. The idea is I can replenish my magazines or fixed ammo supply and give the gun a little PMI at the same time. Everything I need to whip up a place to sleep or just raise my core temperature. Inside this module I keep a pair of space blankets, hand warmers, a heavy duty tarp, strong cordage, 55 gallon drum liners, and thick plastic sheeting. If you use or desire a flyweight tent, bivy or sleeping bag, you can use the stuff sack from any of them to accommodate your other items to keep with the modular nature of the BOB. I bundle these groups together as the typically small nature of the tools makes them a good fit to go together. Inside will be a Sawyer Mini water filter, water purification tablets, storm matches, a spare lighter, a ferro rod and my tinder box. Some people may want these separate for whatever reason, and that’s fine, but you’ll end up with two tiny pouches instead of one small one. Don’t forget to keep at least one fire staring method on your first-line gear. I use a lighter. All the things I need to access regularly to get where I am going or solve my most common bug-out problems. In this pouch I will keep a spare flashlight and headlamp, a few batteries, my maps, compass (keep a button compass on your first line in your survival essentials kit) whistle and a couple of chemlights. This is another great candidate to keep within easy reach on the outside of your pack or even on a strap or waist belt. What Pouches Should I Choose for my Modules? The choices are endless, and boil down to preference and how much you desire to hook stuff to the outside of your bag. Note that I am generally against “gypsy packing” where you hang all kinds of crap from every available attachment point on the outside of a bag. This does nothing except unbalance you, increase the snag hazard presented by the pack and make more noise. You generally want to keep everything packed down snug and tight inside the bag, but a few things make sense to keep readily to hand, like the med and admin modules I mentioned above. If you desire to attach your modules to the outside of your pack, you’ll need an attachment system, and preferably one that allows you to quickly detach and reattach at will. MALICE clips, fastex buckles and carabiners are all options, as is MOLLE style straps that can be threaded and released quickly. Whatever method you select, choose with an eye toward durability and reliability vs. speed of attachment or release. 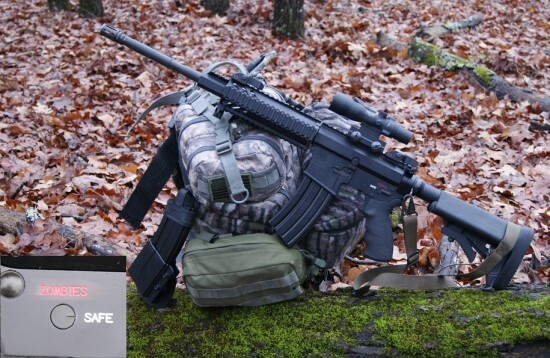 As far as materials are concerned, military-style pouches in nylon of various weights are common and affordable, and so long as one does sport too many of them on the outside of your pack you will not draw much undue attention. You can use anything from canvas to leather or plastic, hard or soft, so long as it can contain all the items in your module and do so at a modest weight penalty. Setting up your BOB for modular capability will allow you a degree of freedom and flexibility that a traditionally packed BOB simply lacks. If organization, ease of re-packing and cross-loading are important to you, consider giving the modular BOB method a try. It is good to see someone else doing this. And sharing it so more people can hopefully see the advantages and incorporate them into their own plans and kits. I have been doing this for well over a year now, and have convinced several preppers I know to adopt the system. They have all been quite pleased with how well it works. The versatility, the options it gives one, the simplicity, and the greater accessibility to the specific item they need in a hurry without unpacking. Everything runs in cycles. I’ve used plastic waterproof bags for 50 years since I was in Boy Scouts. Splitting similar items in bags helps you find stuff especially if you pack everything in the same place each time. Sure is nice to have dry socks and underwear after hiking in the rain. Good to find several of us all doing the same things. It’s a shame we have to be this prepared in our great country. This is what I need to do with my pack. I like organization and this will be perfect. How do you tell what is in your sub-load? Can you color code it? Thank you for your article and for the feed back. Yes, good article. For me, the modular system works well for organizing small items and put them together such as fire starting materials. For combining the small items, I usually use zip lock bags and some times go bag in bag in order to help ensure the things inside stay dry. I pack my rucksack main compartment with individual modules. I use zippered ballistic nylon pouches which are coated on the inside. They are sold as pencil/cosmetics/tool pouches at WalMart and other such stores in a variety of colors. I chose Earth tones and attached lanyards to them with an aluminum tag painted the same color as the pouch. The tags are also coded by a pattern of holes drilled through them. These pouches are placed in the rucksack with the lanyard running out to the top. I can then retrieve any module I need by the color and feel of the tag at the end of the lanyard and pull it out. I can also do this in total darkness if necessary. All items are packed with redundant waterproof containers (heavy gauge zip-lock plastic envelopes). Persons who believe this is un-necessary weight and bother have obviously never dropped their rucksack into white-water river. I agree this can be an advantageous packing system, and the modules suggested seem just right. My only concern is that in a medical emergency, seconds count, and certain things, like a tourniquet and trauma compress need to be immediately available. I would have those (or at least my primary ones) in my pockets or a pouch on my belt. Only any backup ones would be in the medical module.